Oat porridge with fortified milk. Contains gluten. No added egg. Source of Calcium & vitamin D.
Contents are liable to settle after packing. Packaged in a protective atmosphere. Store in a cool dry place away from odours. Use within 6 weeks of opening., Best before: see base of pack. Easy prep: Add approx. 60 ml warm water to 3 or 4 scoops of cereal in a bowl and stir. Check the temperature before serving. 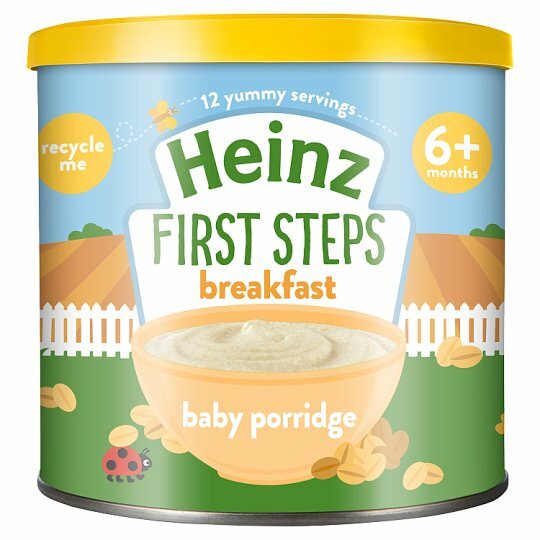 This is only a guide you can prepare Heinz cereals to the texture and quantity your baby loves.